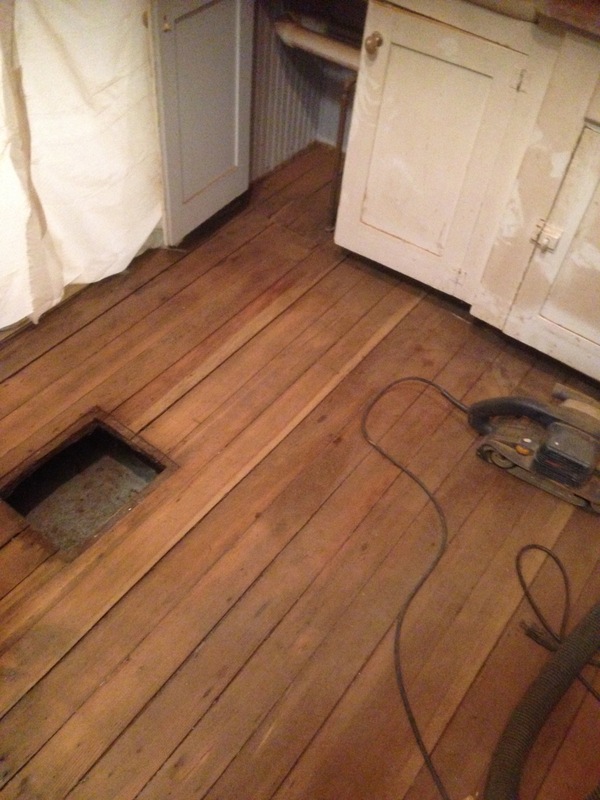 This picture shows what we were dealing with when it came time to finish the floors in the butler’s pantry. The boards in the bottom half of the photo are in the adjacent powder room. 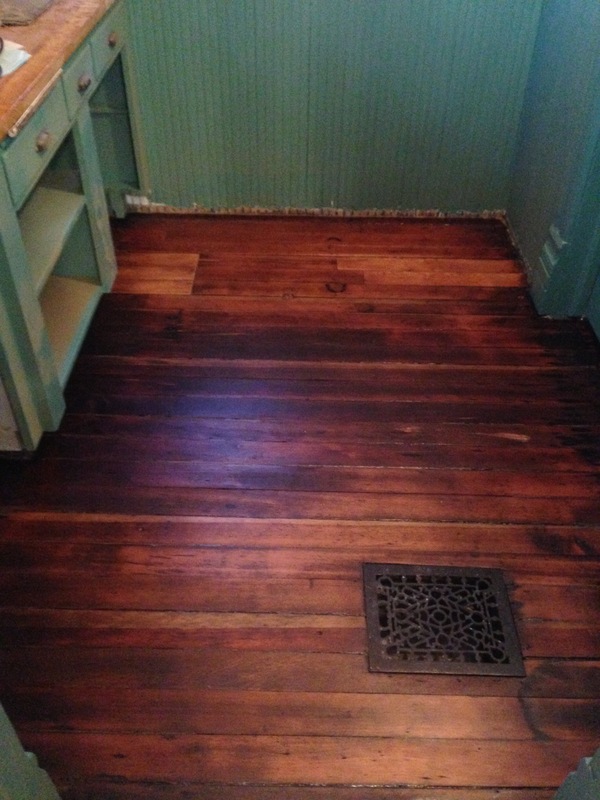 The narrower planks are what we found in the butler’s pantry. Curious that they were laid at the same time, in close proximately to each other, and yet a different size plank was used. I assume that the powder room, having more casual wide planks, had a more lowly purpose than the pantry? 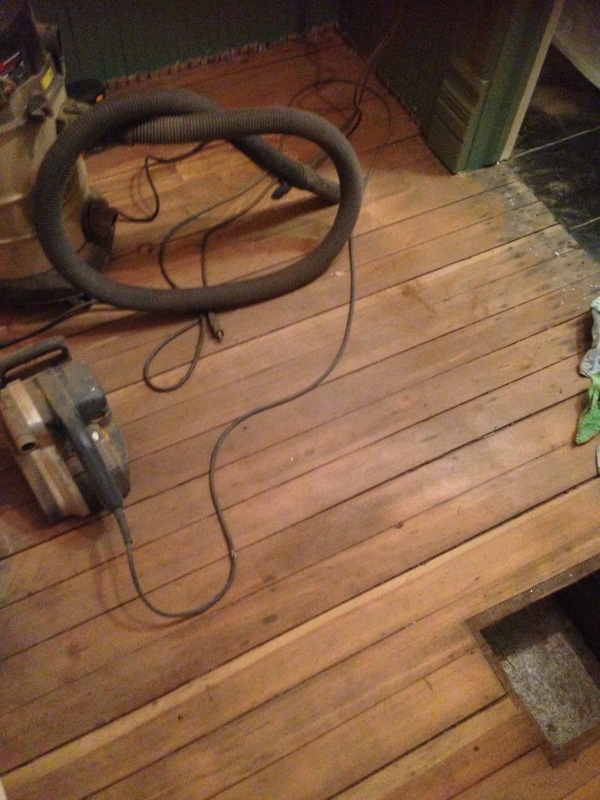 At the very top of the photo you can see the linoleum and subfloor that had been in place, probably since the 1990s. 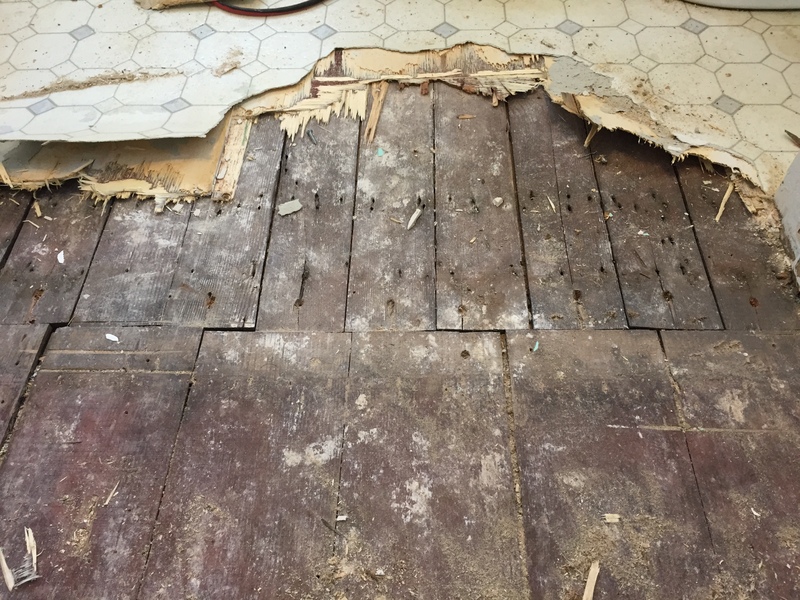 When we were removing part of the cabinets to modify it for a desk (more to come on that), we found 2 layers of very old linoleum!!! What a fun discovery. This was not only exciting because we got to see they decorating materials from decades past, but it gave us evidence that the built in cabinet was not original. 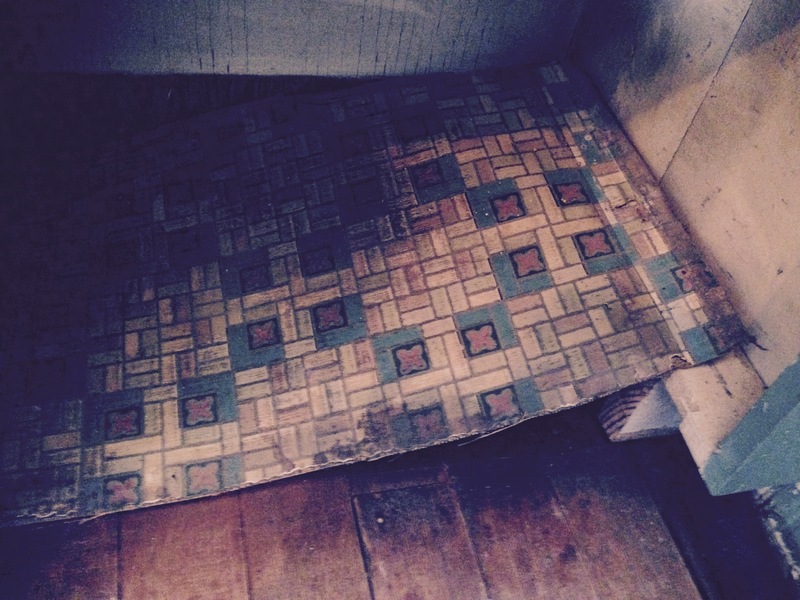 For this floor was found completely encased in the cabinet- there would be no reason to lay floor here- in fact it would have been impossible. Once the planks were sanded, we were very pleased with how they looked. 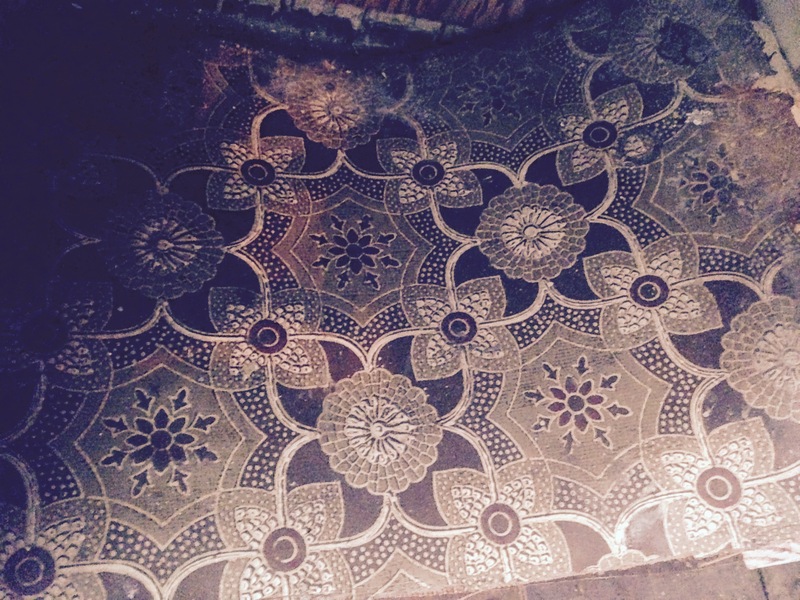 While I can’t imagine it on a floor, the pattern on that second linoleum photo is pretty sweet. I’m guessing it’s from a similar vintage as the wild 70s bathroom upstairs? The bottom layer is a familiar pattern, perhaps from the 20s or 30s. I’m pretty sure there is some of that exact stuff back in my parent’s farmhouse in Illinois.